27, January 2016: As an emerging industry, it is never smooth for it to develop and grow, such as the Amazon’s off shelf of the self-balancing electric scooters and some countries’ restriction policies and so on. We firmly believe that these problems will solve one by one when the self-balancing electric scooter industry develops more maturely. More and more manufactories have joined this sector, and Airwheel is one of them. Airwheel self-balancing electric scooter was initiated by a group of pioneers who take constant adventure to reshape the world with edged technology. From the thoughts in minds to the realization in reality, Airwheel has been developed fast thanks to the continuous efforts of its team. 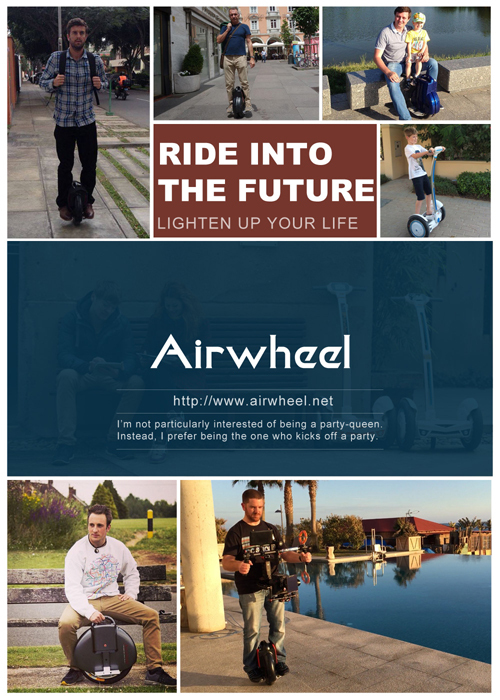 Airwheel is dedicated to producing safe, solid and humanized products. In the consumers’ minds, Airwheel intelligent electric scooter has provided fresh comfortable user experience with its modern concise design. Customer-oriented design concept is Airwheel’s philosophy with the products of standard-setting by considering every detail. Propelled by customers’ opinions, Airwheel keeps continuous upgrade of user experience, both in material, function and safety. From a series of new products, we can learn that Airwheel is keeping abreast with times. 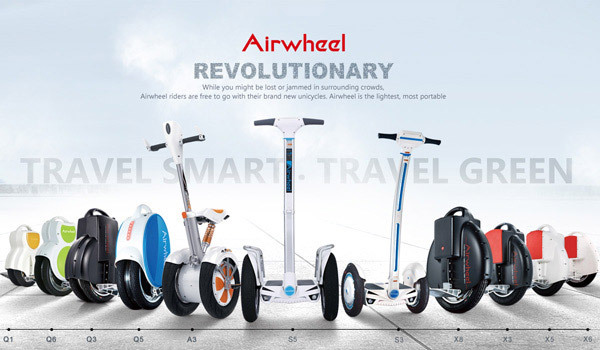 Within the 2015, Airwheel has held two new products release conferences, by adding six new kinds of models into Airwheel big family. 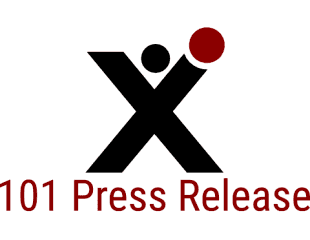 A strong tie with premium business partners will not only bring win-win scenarios, but also create for customers more products with better and more reliable user experience. With a global vision, Airwheel electric scooter has been sold to more than forty countries covering the five continents. In the future, Airwheel will continue to provide customers with all-around and interactive service via efficient and humanized resource integration and cooperation.